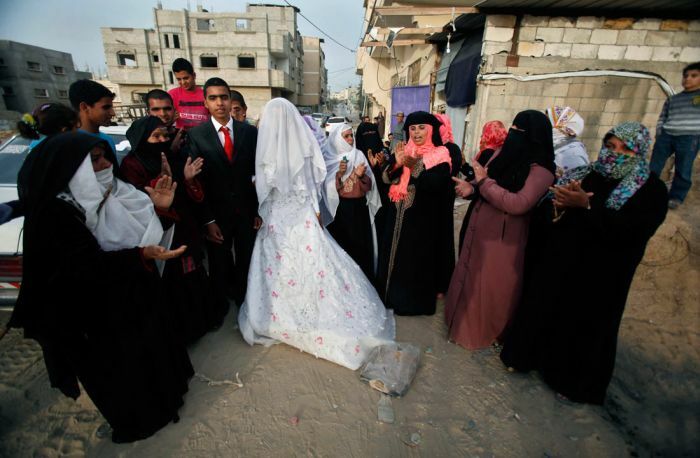 Unable to cross through Gaza’s border gate, bride Manal Abu Shanar had to meet her Palestinian fiance Emad al-Malalha in an underground tunnel. 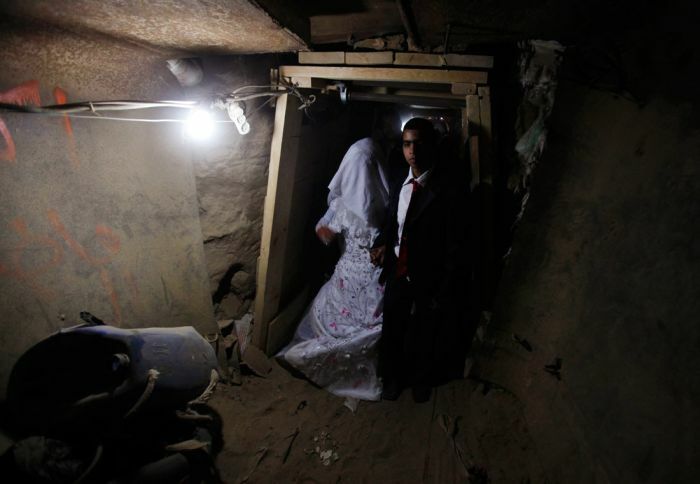 The man smuggled his bride from Egypt into Palestine through a Gaza Strip smuggling tunnel under the Egypt-Gaza border. 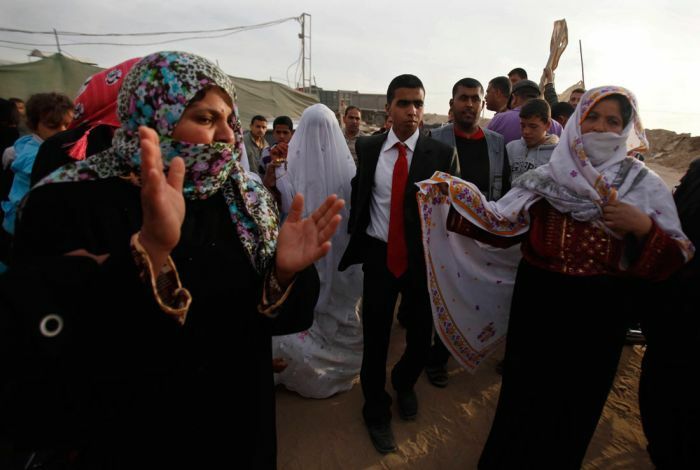 The Egyptian authorities wouldn't let the woman to enter Palestine through the border gate. Good for them. 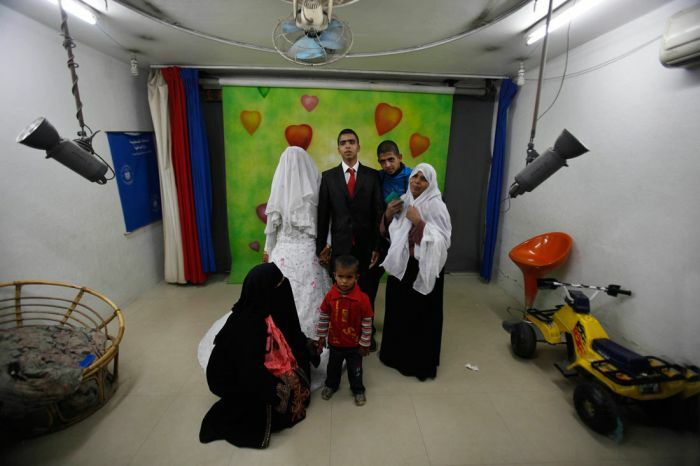 How many other things are smuggled through that tunnel?